1. . As a condition of using this Website, you agree that you will only use, reproduce and print materials comprising the results of such searches for your own personal, non-commercial purposes. In particular, you must not use the contact details provided by private advertisers to contact such advertisers other than in connection with a genuine enquiry relating to a proposed purchase by you . 2. . The pages contained in the Website may contain technical inaccuracies and typographical errors. The information in these pages may be updated from time to time and may at times be out of date. We accept no responsibility for keeping the information in these pages up to date nor any liability for any failure to do so. 3. . The information contained in the material on the Website is intended only for the use of Ford & Fordson Association members. The material on the Website although published in good faith you should not be relied upon to make (or refrain from making) any decision or take (or refrain from taking) any action. 4. . The Website contains material submitted and created by private and trade dealers and other parties. All liability for any errors, inaccuracies or omissions in such material is excluded. (c) the completeness of the results of any search of our database or that the items selected by the search. 6. The Website publishes advertisements placed by third parties to advertise their items and other goods and/or services. We do not own these items / vehicles or goods advertised for sale on the Website and expressly exclude any liability as to their accuracy or for any losses that you may incur as a result of purchasing a vehicle, goods and/or any services advertised by third parties. If you choose to purchase a vehicle, goods / items and/or services advertised for sale by third parties on the Website, the contract will be between you and the third party advertiser and not with us. 8. 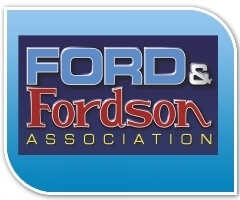 All Ford & Fordson Association trade marks, names and logos are the proprietary marks of us (Ford & Fordson Association). Marks identifying third parties are owned or licensed by those third parties or their associated companies. Nothing in these terms and conditions in any way confers on you any licence or right under any trade marks, names or logos. 9. We are not liable for any failure to perform any of our obligations under these terms and conditions caused by matters beyond our reasonable control.